After 3 years and over 50 releases, our two head honchos have come together to present you with the Genesis EP - their debut release on the label. 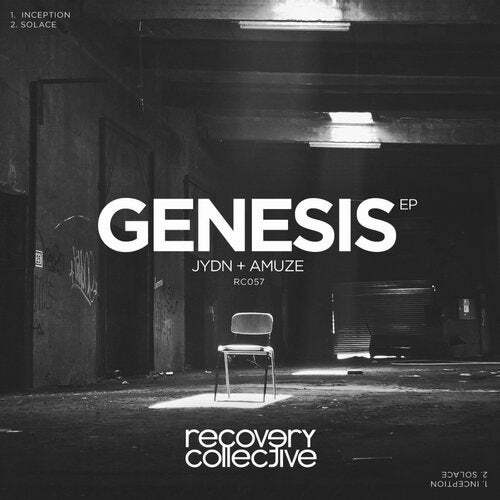 The two deep, melodic tracks that come together to compile the release include Inception by Jydn and Solace by Amuze. Inception, initially drawing you in with the calm undertones and pulsating pads before injecting your mind directly towards the ever evolving abstraction and journey. The rolling lead and expanding LFO's twist, turn and build to unexpected levels before bringing it home and winding back down into a euphoric conclusion. Solace, a highly melodious and deeply expressive record with a clear representation of the extensive musical knowledge of the artist. Heavily driven by intertwined synthesis and mood moving chords, constantly progressing and following the mind through the exploration of sound and feeling.